Leaked news from Weibo reveals that UMIDIGI Z2 features a MediaTek Helio P60 CPU. The Helio P60 was just released on the MWC. The chip was recognized as “the best of MWC” by the renowned US media Android authority. It rocked the world by incredible 5871 Geekbench multi-core score, becoming a strong competitor of Snapdragon 660. 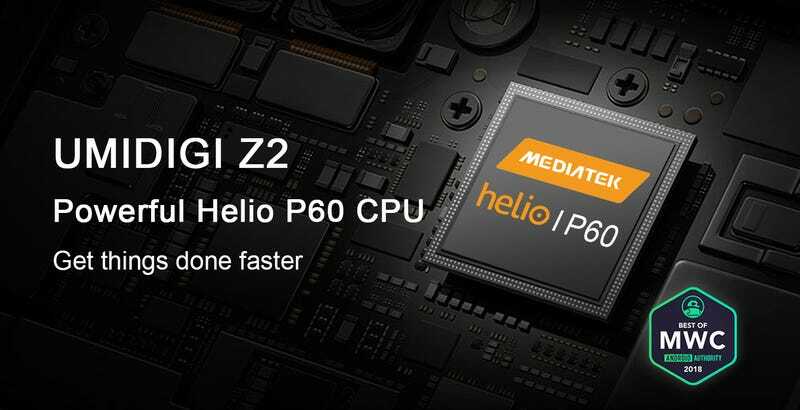 With 12 threads, an independent APU for artificial intelligence, and the Mali-G72 MP3 image processor, the Helio P60 boosts game performance up to 70% vs previous generation. By adopting Helio P60, UMIDIGI Z2 carries a destiny bringing excellent performance to Android smartphones. Notably, the top notch display smartphone offers greater processing power for intensive tasks resulting in seamless multi-tasking and computing experience. And most importantly, it is much more affordable, the estimated price of UMIDIGI Z2 is about $300. Expect the Helio P60, other rumours also mentioned UMIDIGI Z2 sports AI, Emoji, quick focus, better temperature control, bokeh camera, Infrared camera and 15 watts wireless charge.